The most of our Ospreys are now on their way to West Africa. It is a world-wide species and a fishing expert. Some of the experienced individuals we photographed recently in Finland are much better than the yearlings. 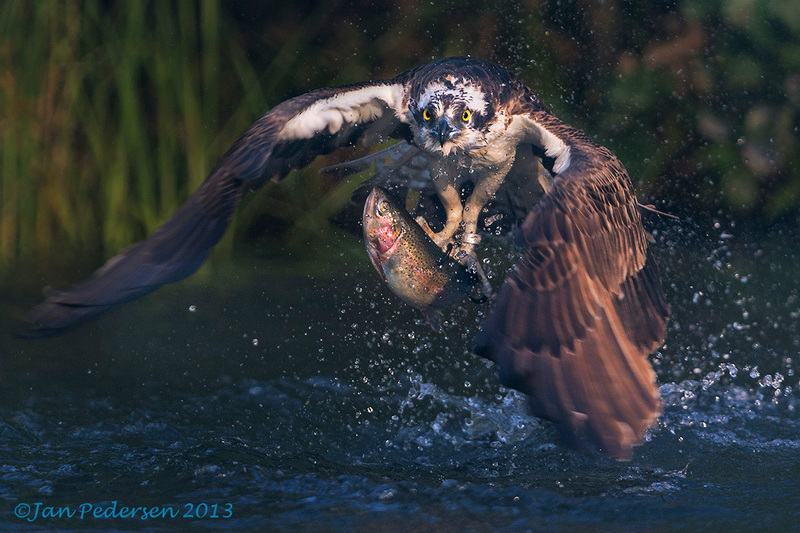 The old ones would simply fly in - focus - dive and leave with a fish. The young ones would circle and circle and focus and dive or stop diving and redo the whole process. When they finally swooped down and got a fish they would very often loose it. Some would make up to 8-9 dives before having a meal. Tomorrow my colleague Henrik and I are off to "Sort Sol" and waders in Denmark. The weather-forecast is not on our side.